In years past, alimony was considered almost a matter of form in many Georgia divorce cases, especially in cases where the wife gave up her career to stay home and raise children. However, this has become less and less common for a variety of reasons. If you are seeking to divorce, this can be a rude awakening unless you understand both the law and the cultural changes which have pushed alimony to the sidelines in a majority of Georgia divorces. As of this writing, alimony law in Georgia is reasonably straightforward. Many spouses are able to work out an agreement, to be incorporated into their divorce decree, that sets a reasonable amount of alimony and the period in which it will be paid. If you cannot agree, the court will do the same, assuming that it agrees that alimony is warranted in the first place. Most alimony awards will be considered temporary or permanent, though there is a third category, called ‘pendente lite,’ where the higher-earning spouse pays the lower-earning spouse during divorce proceedings themselves (this is a very rare situation). When alimony is awarded, it tends to be of the temporary type, though permanent alimony is still awarded in a minority of cases. Generally it happens when one spouse out-earns the other by a considerable amount, or when there is some condition that precludes one spouse earning a living after the divorce, especially if they cannot file for disability or other government assistance. 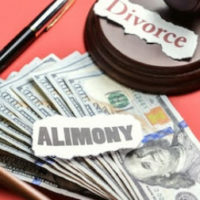 Regardless, if the court is deciding on the availability of alimony, it will consider multiple different factors, including the standard of living enjoyed during the marriage, the duration of the marriage, the current and future earning potential of both spouses, and whether or not one spouse sacrificed during the marriage (for example, one spouse staying home with the children while the other got a degree). Alimony is generally becoming less common in Georgia, especially permanent alimony, because of shorter marriages (often thought to be unworthy of a grant of alimony), and because gender equality has all but abolished the old necessity to provide for the wife upon divorce. Alimony is intended more and more to be about assisting the spouse who earns less, regardless of gender – though census figures estimate only 3 percent of those in the U.S. receiving spousal maintenance are men, this can be partially explained by generational attitudes and also by possible sexism on the bench. It is also worth noting that recent changes signed into law are changing the way that alimony is handled at tax time, which may turn more and more people off from including it in their divorce decrees to begin with. In 2019, alimony is no longer tax deductible for the payor, and is no longer counted as taxable income for the payee. Since payments are no longer tax deductible for the payor, fewer spouses will be amenable to including alimony in their divorce decrees, and the courts will very likely be even less inclined to grant alimony given the potential tax burden shift it may cause. While your specific situation may result in you being awarded alimony, the fact is that it is much less certain than it was once upon a time. If you have questions or concerns about support payments and your divorce, contacting a divorce lawyer can be of great help. 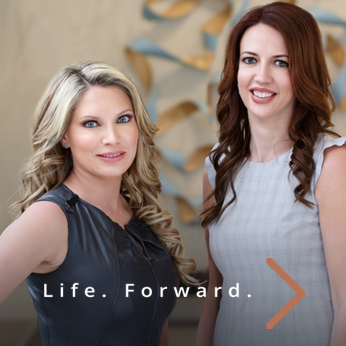 The Atlanta alimony attorneys at Buckhead Family Law will work with you to try and guide you through what can be a complex process. Call us today to schedule an appointment.